You buy expensive jackets that you don’t need on a whim. You start learning the banjo on a whim. You decide to buy flowers for your wife on a whim. But you can’t meet challenging goals on a whim. You can’t establish successful habits on a whim. You can’t change the world on a whim. Some things can be done at a moment’s notice when you feel like it, but not the big ticket items. 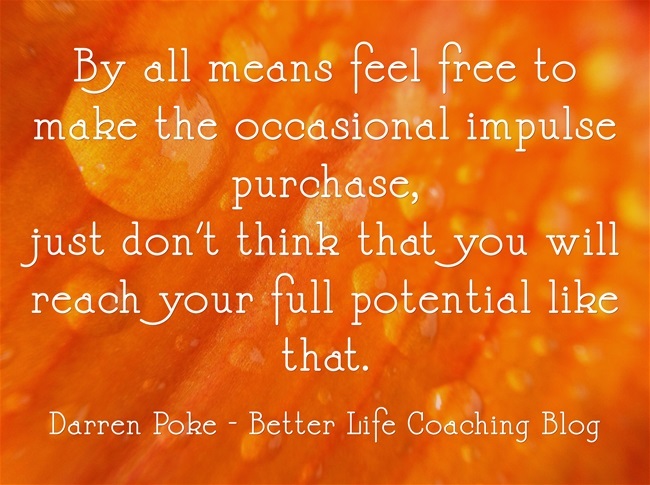 So by all means feel free to make the occasional impulse purchase, just don’t think that you will reach your full potential like that.